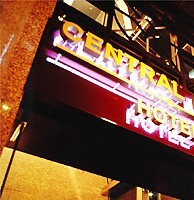 Situated in the heart of Financial and Commercial Centre in Hong Kong. 5-10 minutes on foot or by car to major office Buildings in Central and Sheung Wan, e.g. Exchange Square, IFC, Cosco Tower, The Centre, HSBC, The Landmark... etc.